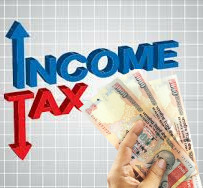 What are the Income Tax Slabs and Rates for Senior Indian citizens for Financial Year 2017-2018? They are exempted from paying income tax. They have to pay 5% of the Income amount by which it exceeds Rs. 3,00,000. If a person's total income is Rs 4,00,000. The Income tax will be 5% of 1,00,000 (4,00,000 - 3,00,000 ). Ie, Rs 5,000. If a person's total income is Rs 7,00,000. 20% of 2,00,000 (7,00,000 - 5,00,000 ). ie, Rs 40,000. Total Income Tax amount he should pay is Rs 50,000. If a person's total income is Rs 11,00,000. 20% of 5,00,000 ie, Rs 1,00,000. 30% of 1,00,000 ie, Rs 30,000. Total Income Tax amount he should pay is Rs 1,40,000. Investments upto 1,50,000 is exempted from tax based on various sections of Income tax act. For Financial year 2017-18 the non taxable income for senior citizens of age above 60 years is upto Rs 3,00,000 (Rs 3 Lakhs) and Those who are of age less than 60 years are exempted from paying tax for amount upto Rs 2,50,000.